Chat Live with Multiple Customers 3.0.1.5 - Download Win Apps. Multiuser chatting script written in ASP and supports AJAX script for live chat. 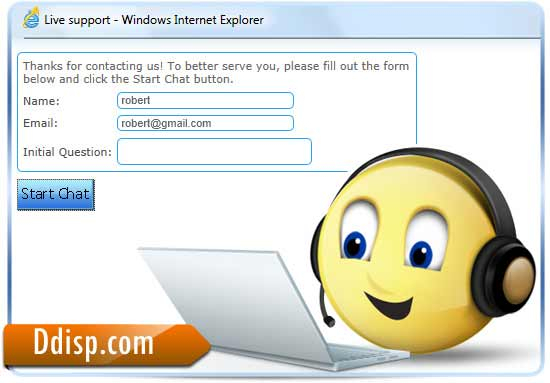 ASP based multi user chatting software for those owners who want to give technical support to all their website visitors. Code is based on AJAX script for live chat environment. Simultaneously many administrators handle their clients on one to one basis. Program works with all internet browsers which make it platform independent. You can simply install it on your site and add a chat button on your website for 24x7 assistance to all your clients. This program gives your site visitors the opportunity to chat with you in real time. Clicking a chat link from your site, a visitor will be prompted to enter their name and will then be taken to a location where they will be able to chat with you.